Buying a used Audi is a great idea if you want the luxury without having to think about depreciation too much. You will still be able to enjoy a top-of-the-range vehicle without spending an absolute fortune on a new model. However, there are things you should be aware of before buying a used Audi. There are many Audi models, so you need to make sure you’ve chosen the right one for you. Consider which model will best suit your needs by writing out a list of what you’re looking for in your car. Where Will You Buy Your Audi? 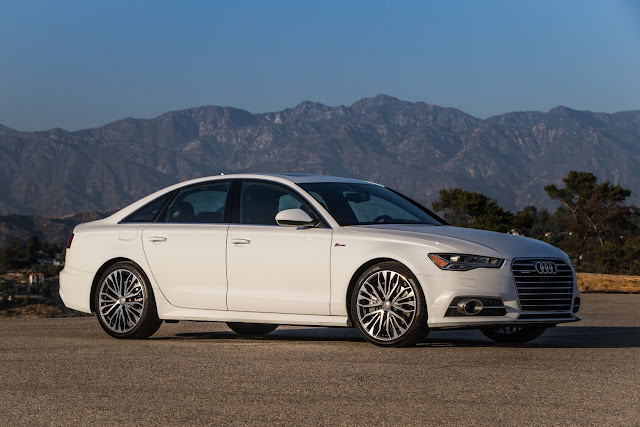 There are many places you can purchase your new Audi: used car dealers, brokers, newspaper ads, referrals, and more. Wherever you choose to buy your vehicle, make sure you do your due diligence. Knowing what to look for when buying your used Audi is imperative. Writing out a list of questions to ask the person or company you’re buying from is important, but you’ll also want to look at the car and assess it yourself. Exterior - The exterior can tell you a lot about the condition of the car and how it has been treated. Has it been repainted to cover up scratches and damage? Headlights and fog lights - Make sure these lights are working. Check if the headlights are xenon. Don’t forget to check the tail lights for cracks or scratches either, and ensure all bulbs are working. The engine - Check the engine oil. Check that the oil used is in the list of oils approved by Audi, as the previous owner likely changed the oil. Check the power steering fluid, which should be green in color, the coolant, which should be pink or purple in color, and the brake fluid, which should be milky in color. The right color liquids will indicate that Audi approved products have been used. It is normal for car owners to chip their engines to enhance the car's performance. However, Audi does not take responsibility if anything goes wrong afterward. You must make sure the car has been chipped properly. Keys - The valet and plastic key are easily forgotten. Be sure to collect them from the owner. Ensure you’re careful with your keys, as it isn’t unheard of for Audi owners to lock them in the car and have to call out an advanced locksmith to save them. The only real way to make sure a car is right for you is to give it a test drive. Pay attention to the transmission, and ensure that it’s smooth. Carry out the regular braking, honking, and steering tests to ensure all is in working order.